Rapid EMT Academy is an accredited entity through the state of Missouri. We provide training and education in pre-hospital emergency medicine. 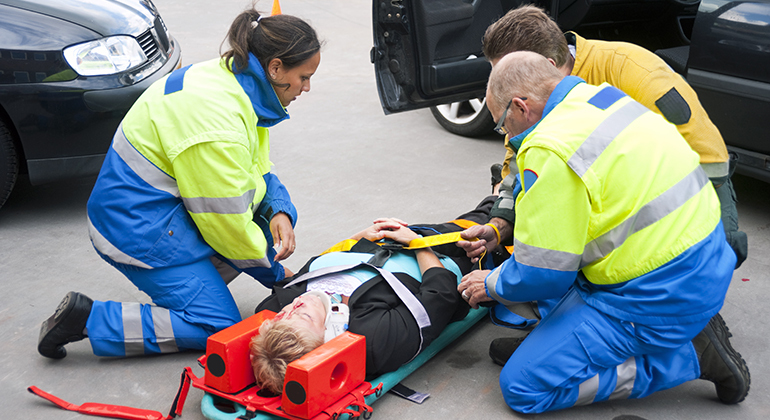 We offer exceptional Emergency Medical Technician (EMT) training, along with CPR certification. We offer a 4 week course and a 10 week course. Our 4 week course is held Monday-Friday 9am-3pm and our 10 week course is held Monday, Wednesday and Thursday evenings 6pm-10pm. Get hands on training from day one. Receive all necessary material with tuition. Become certified and working in the field gaining more experience in less time and for less money than the typical program. Our experienced instructors are dedicated to making sure you develop the skills required to operate efficiently with confidence in any emergency encountered, and will prepare you for the State and NREMT Exams. You will receive 120 hours of classroom instruction with up to date equipment, and a minimum of 40 hours clinical time, which consist of two ER rotations and two ALS ride alongs. Upon successful completion of this program, all students will be eligible to take the State and National Registry Exams.